Chairman of the Hind Swaraj Centenary Commemoraton Committee, Prof Samdhong Rinpoche is a scholar, philosopher, fully ordained Buddhist monk and an ardent follower of Mahatma Gandhi. He has earned high esteem among Indian academic and intellectual circles as a visionary with a rare insight into the subject of Tradition and Modernity and civilizational, cultural and spiritual issues facing human kind. He was nominated on the boards of Indian Council for Philosophical Research, Asiatic Society of West Bengal, Sikkim Research Institute, Central Institute for Buddhist Studies, and was elected as President of the Association of Indian Universities. 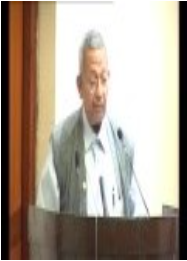 As Vice-Chancellor of the Central Institute of Higher Tibetan Studies in Varanasi, Deemed University, he shaped it as a unique institution of scholarship, learning and cultural preservation. Preservation of traditional heritage and to re-establish a nonviolent human society has been the life-long mission of Rinpoche. 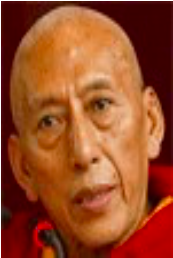 Prof Samdhong Rinpoche was the first Kalon Tripa (Chairman of the Tibetan Cabinet) to be elected directly by the Tibetan people. Throughout his life, Samdhong Rinpoche has played an active role in shaping the future of Tibetan society and Central Tibetan Administration. D.L. 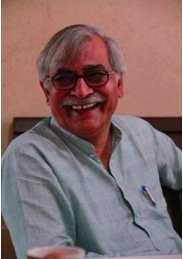 Sheth is Honorary Senior Fellow at the Centre for the Study of Developing Societies (CSDS). He served as the director of CSDS from 1984 to 1987. 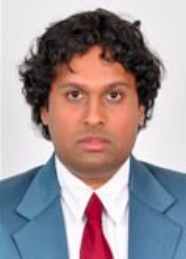 Professor Sheth has been the Editor of the journal Alternatives: Global, Local, Political since 1986. He was the founder director of Lokayan a Project on Development, Decentralization and Democracy (1980-82) and Chair Person for the terms 1983 85, 1988-90 and 1992-94. 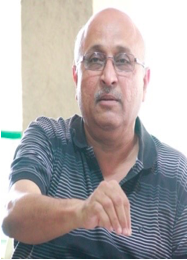 He was appointed to the National Commission for Backward Classes as a Social Scientist member (1993-96) and served as president of Delhi Peoples Union for Civil Liberties (PUCL). Director and founder Trustee, Swaraj Peeth Trust. Formerly Research Associate, Dept. 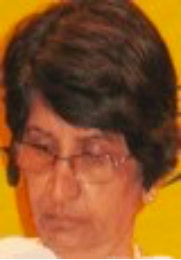 of Chinese and Japanese Studies, Delhi University; co-founder, Delhi unit of Sangharsha Vehini under J P Narayan’s guidance; founder-member, Mahila Dakshata Samiti; compiled and edited Gandhi’s Dialogue with Christianity, published in 1999. 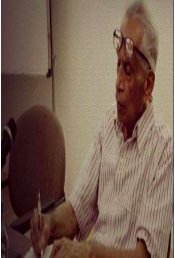 Chairman and founding member, Swarajpeeth; Gandhian writer and activist; former editor Gandhi Marg (Hindi) at Gandhi Peace Foundation; former consultant, Ministry of Human Resource Development, Government of India; convenor, Satyagraha Sanchalan Samhiti, JP’s Bihar Movement 1974-75. Sanskrit scholar; Prof. of Sanskrit and former principal at Delhi University’s DAV College ; author of Mahatma Gandhi and Hindu Dharma.